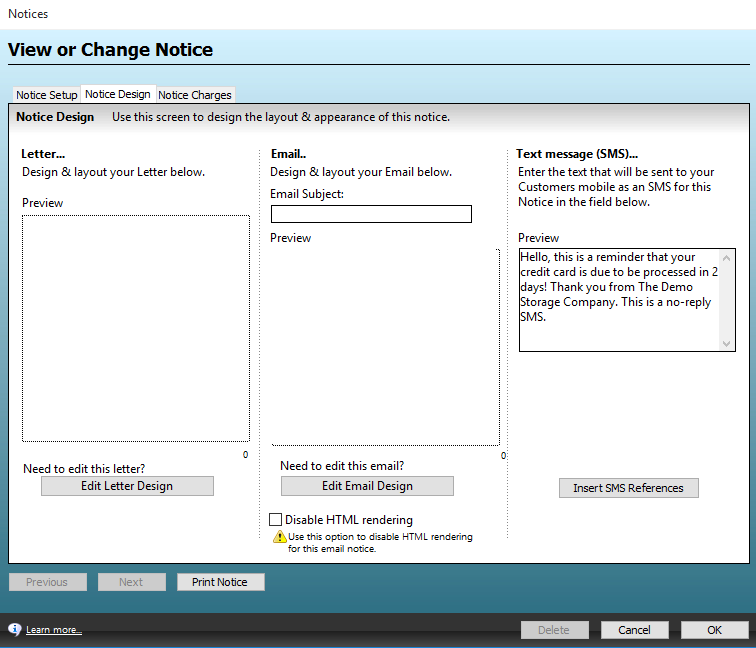 Below is an explanation of how you can set up a Notice Plan to send SMS messages to your autopay storers automatically. 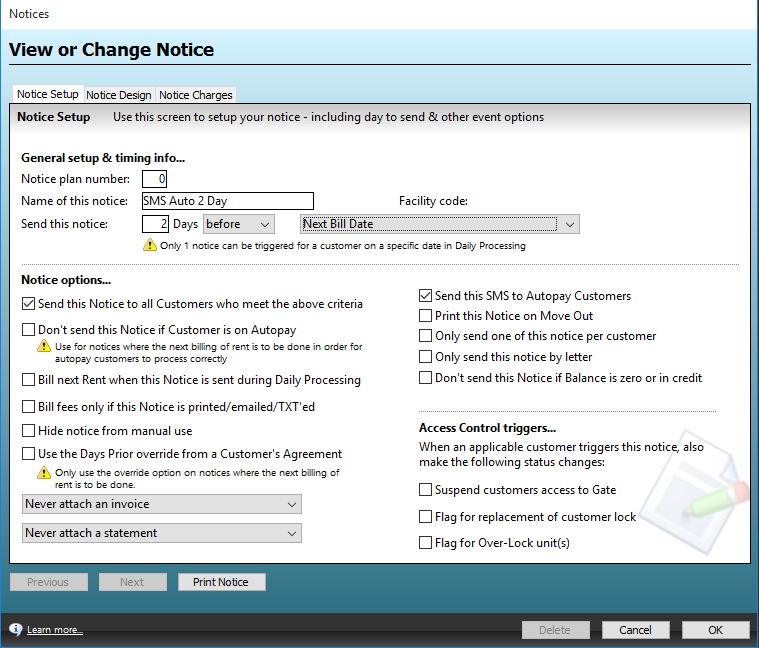 Firstly create a new Notice Plan from the maintenance menu. Give the notice plan a name, and also set the amount of days before the date trigger you would like to this send. Tick both: Send this SMS to Autopay Customers and Send this Notice to all Customers who meet the above criteria. Below is an example of an SMS message you could send to your storers. This SMS message will then be sent to any of your storers that are configured as autopay, 2 days before they are due to be processed.